Perfect for brunch, dessert, or a snack, these vegan Caramel Turtle Donuts are a fall fan-favorite! Maybe it’s because of Dunkin Donuts’ infamous Halloween-themed donuts but for whatever reason, October feels like the right time for a perfectly-topped, specialty donut. 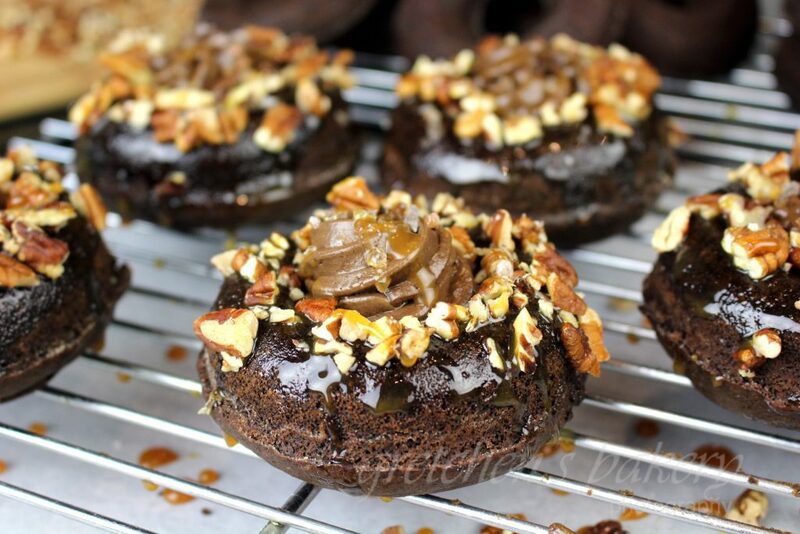 Which is why I am insanely excited about this yummy vegan Caramel Turtle Donuts recipe! Typically, Turtles are made up of pecans dipped in caramel and coated with chocolate. Now, imagine mixing all of those delicious flavors with a chocolate donut made with only vegan ingredients. Are you doing your happy dance? Because I’m definitely doing my happy dance! Now that you have the ingredients, grab the full recipe at gretchen’s vegan bakery!